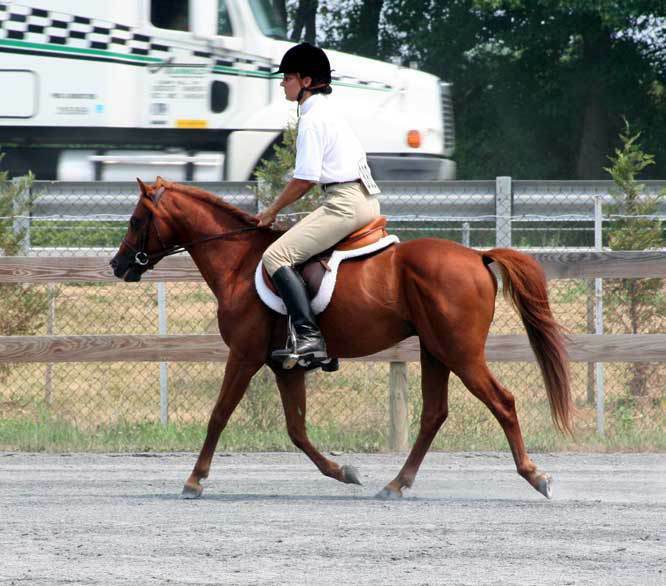 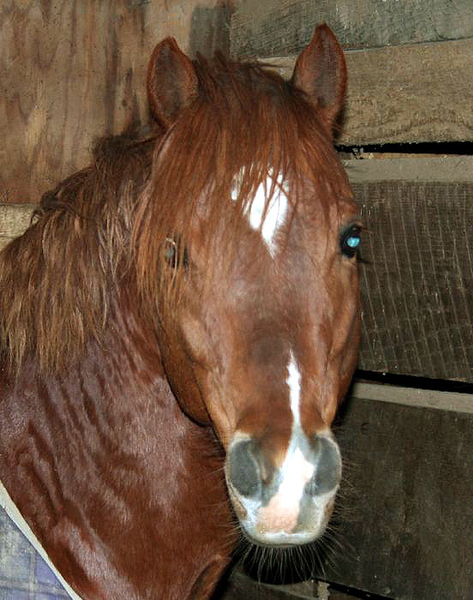 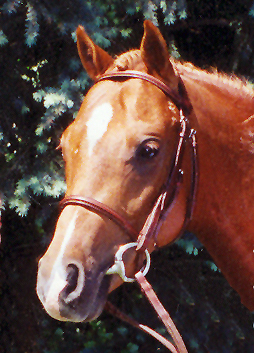 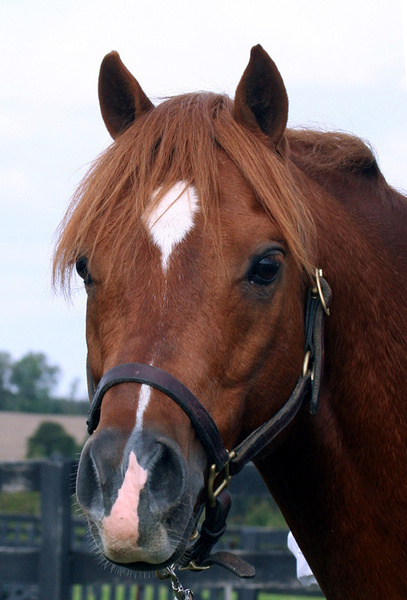 Land's End Thimbleberry is a 2000, 13.1 hand chestnut stallion by Carolina's Red Fox, out of Joann D'arc. 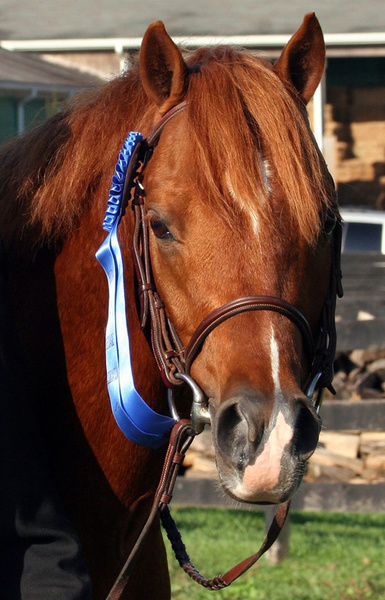 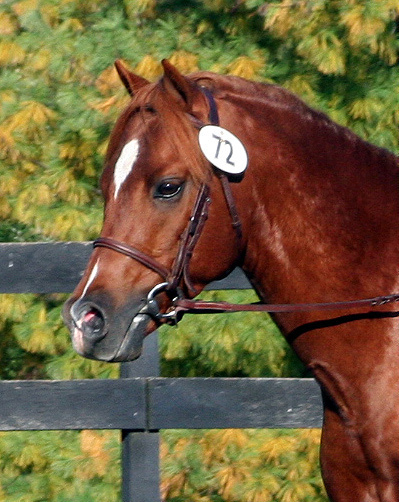 He was first prize winner at Devon and Upperville in 2002. 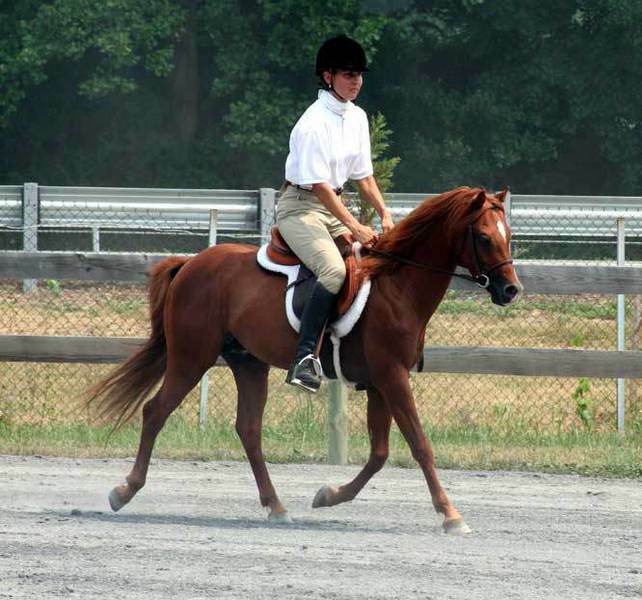 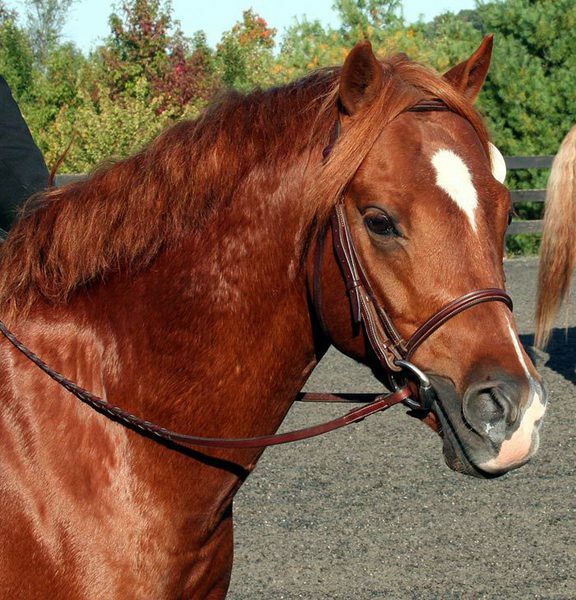 Thimbleberry is a full brother to champion medium pony All About Me, ranked first in the nation for the year 2002-03. 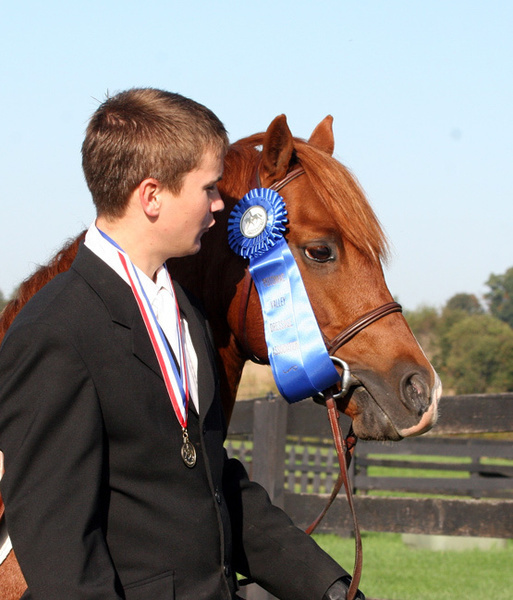 Thimbleberry's line also includes the national champion show ponies Tippy Hedron and Hedy Lamar. 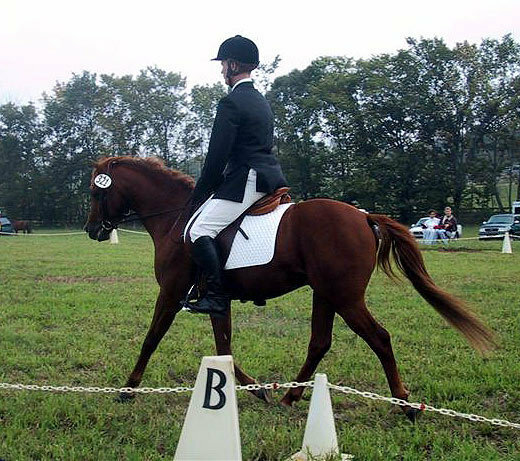 Land's End Thimbleberry was 1st Place Half-Welsh Sire in the 2013 National Sire Rating of the Welsh Pony and Cob Society of American, Inc.